For 25 years, Dr Anna Lavelle has been advocating for healthcare delivery, technology development and industry reform. So it’s no surprise she has recently won a BioMelbourne Network Women in Leadership Award in the category awarded to a senior executive leader demonstrating inspirational industry impact. An initiative of the BioMelbourne Network, the awards celebrate, honour and profile successful women in the health industry sector. Anna, who has a PhD in genetics from the University of Melbourne, is the former AusBiotech CEO and the current Medicines Australia chair of the board. Her work in biotech is something from which we all benefit. "Biotechnology is the science of living things," says Anna, explaining that it's important for illness prevention, treatment, food, energy, cleaner environments and material production. In 2015 Anna received international recognition when consumer science magazine, Scientific American, listed her among the 100 most influential people in global life sciences. She was the only Australian to make the list, which – to give insight into the list’s stature – also included Bill and Melinda Gates. "I was flattered as many on the list were 'household names,'" she recalls. "That moment was one of the times I felt all the commitment, passion and focus had generated a lovely surprise and yes, it did mark a milestone." But that’s not her only key achievement. Anna has been instrumental in bringing about game-changing industry reform. 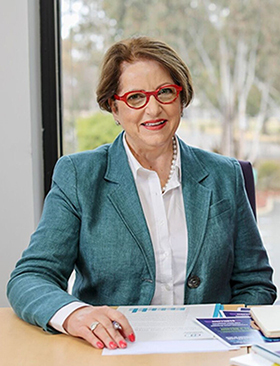 Under her leadership as AusBiotech CEO for 11 years (she retired from the role in 2016), she launched the Research and Development Tax Incentive, returning hundreds of millions of dollars to the sector in cash refunds. "I was delighted when companies who were undertaking excellent science but struggling financially received better support for their efforts via the tax system," she says. "Gaining a federal tax reform is no easy thing. The effort was warranted as small, innovative Australian firms were not being supported via the taxation system in a manner that was commensurate with their economic importance." Of her newly-won Women in Leadership Award, Anna says, "the beautiful thing is that it shines a light on the fact that a scientific career can take many forms and you’re not restricted to stereotypic roles. I started my working life in the 1980s and at that time, women in science and in senior roles weren't the norm. There was unconscious bias and also sexism that manifested in language usage, task allocation and opportunities. I’ve noticed a marked change over the years in attitude." Looking specifically at the state of Victoria, she observes a biomed footprint is already firmly established. 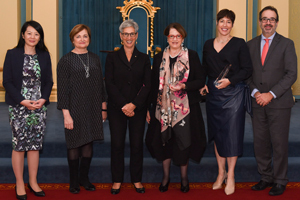 "Victoria has always been a strong contributor nationally and internationally in biotechnology and medicine; it has wonderful talent in infectious disease, neurological and regenerative medicine and has developed an impressive cohort of valuable medical device companies," she says. "Victorian governments have invested in local infrastructure and talent and have produced a thriving sector." Now is a particularly exciting time, particularly in biotech healthcare, as hard won and effective breakthrough treatments are challenging how we view healthcare delivery, Anna says. "The Human Genome Project is demonstrating benefits to patients via new immunotherapies and a better understanding of gene therapies. CAR-T therapy (removing a patient's unhealthy immune cells, genetically re-engineering them, and then returning them to the body) is a recent entry into Australia and will offer an option to people with cancer that didn’t exist three years ago." Anna continues: "Similarly, hepatitis C has seen a major decrease in infected individuals since the direct-acting antiviral drugs were put onto the Pharmaceutical Benefits Scheme and made available to all Australians who needed them. This will mean fewer deaths and fewer liver transplants plus for a high percentage, it looks like a cure and complete eradication of the virus. In the future, the word ‘cure’ will be used more often because of the efforts over the past 20 years to develop new approaches – via biotechnology – to treat disease." The Women in Leadership awards are granted in three categories, acknowledging women in different types of leadership roles and at different stages of their careers. The category Anna has won is awarded to senior executive leaders with a career history of contributions over 10-15+ years.